EfD´s marine research program focuses on those topics within SDG 14 (life below water) that are best addressed by environmental economics, nameley: Reducing Marine (Plastic) Pollution, Effective Regulation of Unsustainable Fisheries and Economic Benefits for Developing Countries through Sustainable Aquaculture. Through the program, EfD aims to provide reliable inputs of knowledge-based advice to national policy processes in the Global South. “Our work with marine plastic starts by understanding how plastics move to our economy coupling with our ecology within the socioeconomic system, so we have developed an impact pathway in which plastic starts at the producer level and then entering the industry, agriculture and households and ultimately ending up in the sea” says Alpízar. In developing countries, oceans and marine resources greatly contribute to poverty alleviation and food security to both coastal and inland communities. But despite the importance of oceans, human activities pose many threats to the sustainability of marine environments, which are especially vulnerable to pollution, overfishing, and degradation of habitats. “We have a very committed team from all over the world, with researchers from India, China, South Africa, Costa Rica, Tanzania, Vietnam, Chile and Sweden. This is a global team of excellent researchers looking in to the issue, bringing their own experience and knowledge about their context to this problem. We can discuss and compare in order to find mutual problems but also identify individual characteristics in various countries” says Eggert. Alpizar highlights the importance of creating a strong team as one of the outputs of this first workshop: “This team was newly assembled, so they didn’t know each other, so we started by creating social cohesion in the team that need to be working in perfect tuning for the next two to three years. This was an overwriting motive itself, the creation of a team of loose individuals”. Why program on Sustainable Management of Marine Resources? Oceans cover more than 70 percent of the earth’s surface and store as much as 97 percent of all water on the planet. Their rich, complex and biodiverse environments provide crucial ecosystem services that are key to all life on earth. 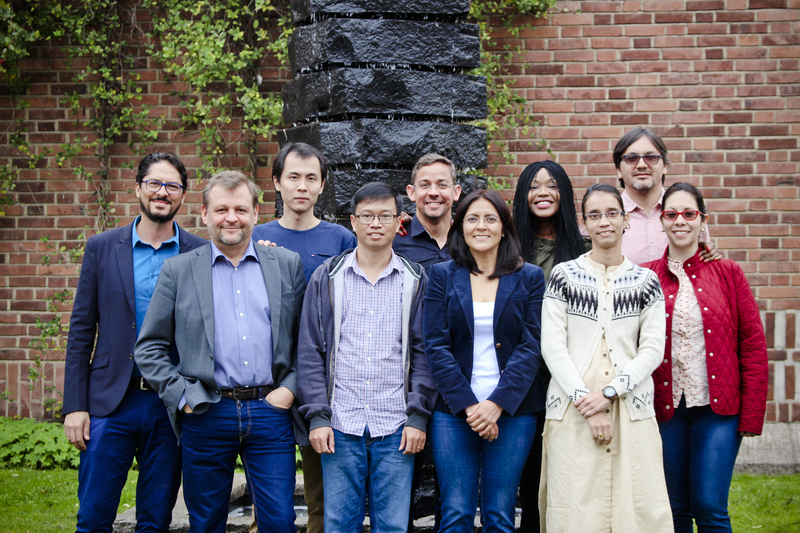 The workshop was held Sept 17-19, 2018 at the School of Business, Economics and Law, University of Gothenburg. Participants: EfD Postdoctoral fellows involved in the program are: Gracia Lanza, Costa Rica; Thong Ho, Vietnam; Reza Daniels, South Africa; Byela Tibesigwa, Tanzania; Marcela Jaime, Chile; César Salazar, Chile; Shivani Wadehra, India and Zihan Nie, Sweden, Senior researcher fellows also involve; Fredrik Carlsson, Sweden and Martine Visser, South Africa. Also an expert on eco-toxicologist from the Institute for biology and environmental sciences, University of Gothenburg will join the collaborative program. Program lead: Francisco Alpízar, Costa Rica and Håkan Eggert, Sweden. Supported by Marleen Poot, EfD Research Officer, Sweden.